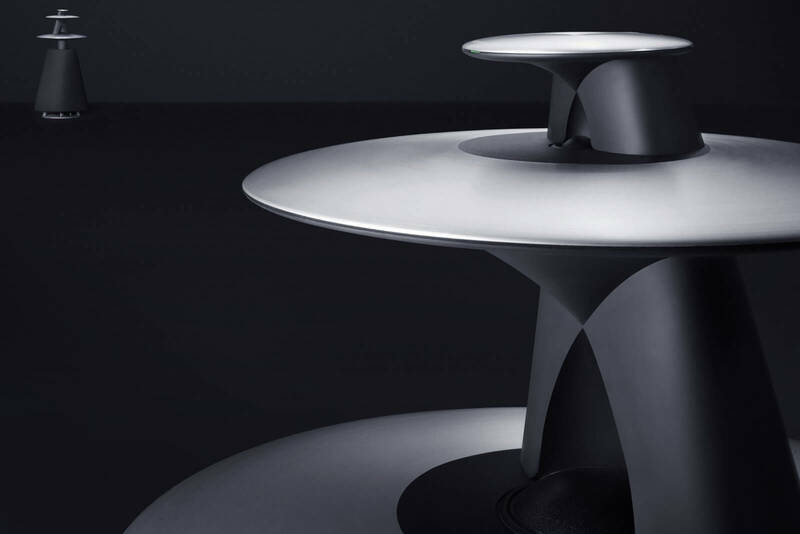 As excellent as the technical performance of this revolutionary speaker is, Bang & Olufsen understands BeoLab5 not just as a high-end device for experts: The unique sound of the speaker impresses laymen as well as trained ears. The last pieces of this fantastic classic are sold as "Final Edition" with minimal detail changes. 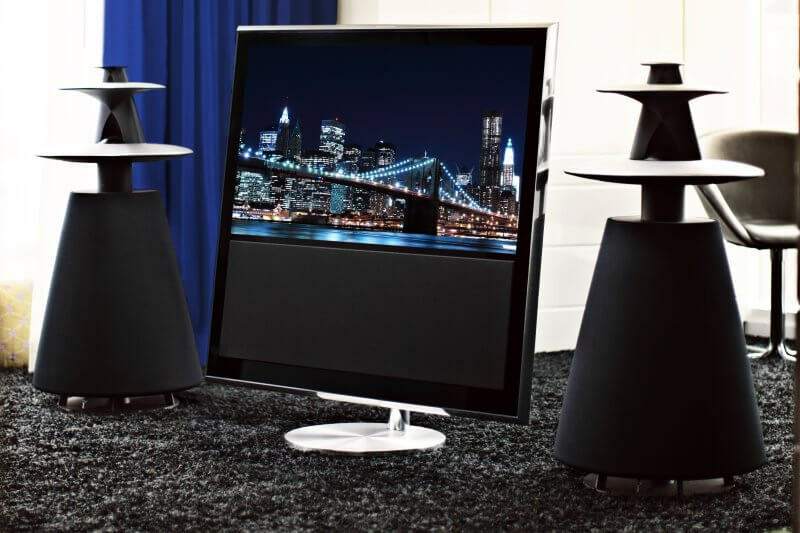 The BeoLab 5 has a high gloss polished acoustic lens and is available with textile coverings in black, white or Parisian Night. The Final Edition is limited to 400 speaker pairs. For this sound speaker a newer version is available. A high-end speaker for any living room. BeoLab 5 is the world's first speaker that adapts to its environment by pressing a button. Thus solves two fundamental problems which were previously considered as unsolvable in the speaker construction industry: Adaptation to the room conditions and direction control of the sound. The result is a pure sound and bass response, regardless of the placement of the speaker or the listener's position. When the listener sits in a room that is filled with the overwhelming sound of the BeoLab 5, he has the feeling that the walls disappear and the ceilings open up to let the sound flow. From the lowest to the highest tones the sound is pure and free from external noise, natural and enormous, without ever being perceived as loud - not even at the highest levels. The placement of a speaker has always been the subject of considerable debates. 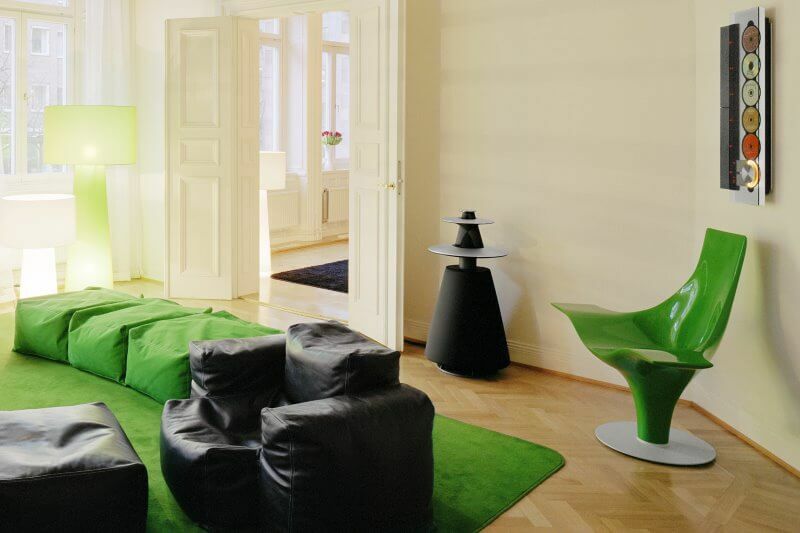 Should the listeners suit the furnishings of his home on the speaker? Or for the benefit of the interior design make compromises in sound quality? The biggest challenge for a loudspeaker company is the unknown living environment and the position of the speaker therein. But these two factors are essential for the sound quality. For example, if a speaker is in a corner, it can be as good - the result is often a humming and inaccurate bass. A free-standing speaker typically produces a thin bass. The solution is called "Adaptive Bass Control" (ABC): The ABC technology, which features a flexible microphone system, measures and analyzes the reflections of the room and the surroundings (furniture, present people) and compensates them by automatical adjustment of the bass. Thus, the speakers can be placed anywhere and always offers the same quality of bass. 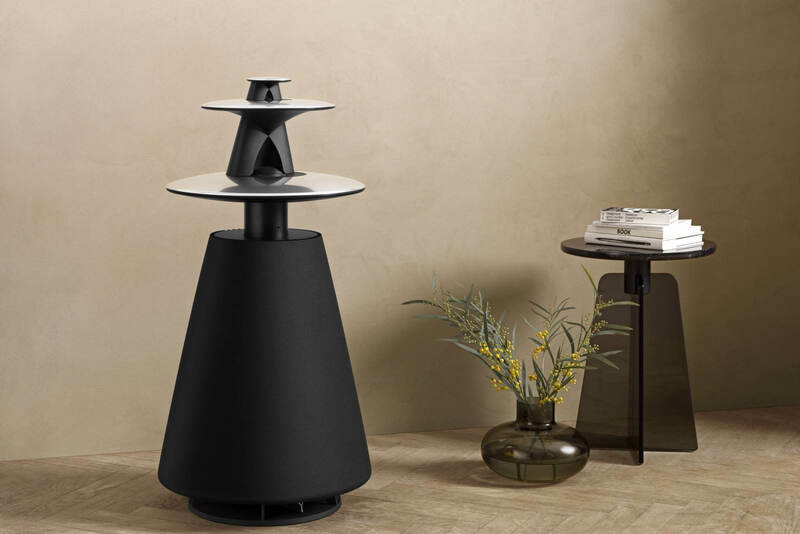 If the position of the BeoLab 5 or the design of the room changes, the self-calibration can be triggered by a small button at the top of the speaker and accomplishes automatically within minutes. You can move around a grand piano as much as you like, and the music will still move you. In contrast, a traditional stereo speaker set-up locks the listener in a 'sweet spot' position of limited physical dimensions. If you move around, you lose out on the subtleties in the music because of the directionality of the speakers. 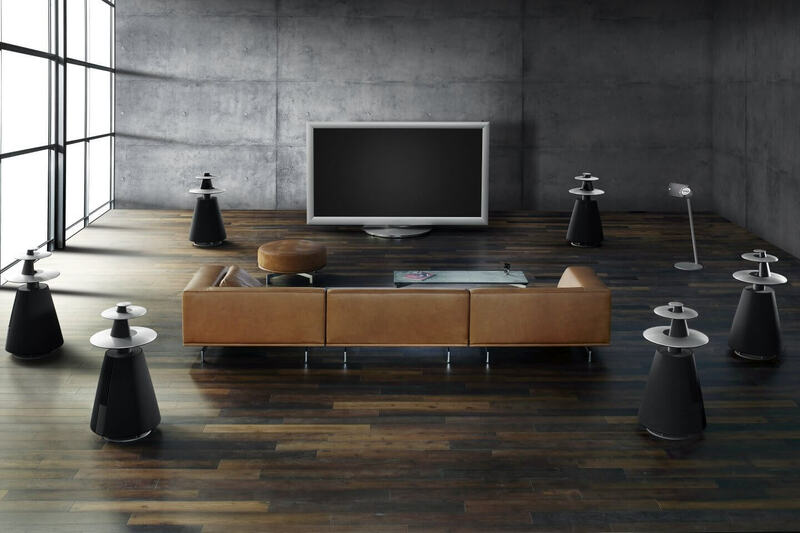 The Acoustic Lens Technology (ALT) enables to freely move around the room and still listen to the same excellent sound. 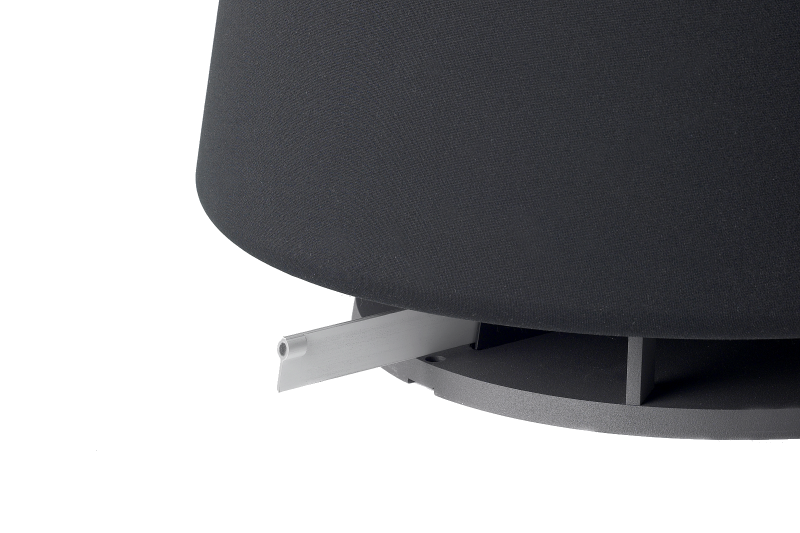 Thanks to two elliptical lenses at the upper part of the speaker, the ALT will ensure that the sound of the high and mid-tones is distributed horizontally in the room in a 180 ° angle and does not radiate on the ceiling or floor. This leads to an immense acoustic advantage. There is no longer a need to sit in a specific position in order to achieve the optimal loudspeaker performance. In principle the "Acoustic Lens Technology" reproduces the sound just like a ship's lantern radiates the light in a semi-circle of 180°. Conventional speakers reproduce sound like a flashlight, with a limited beam angle, especially at the high tones. Therefore conventional speakers sounds differently, depending on the position of the listener. 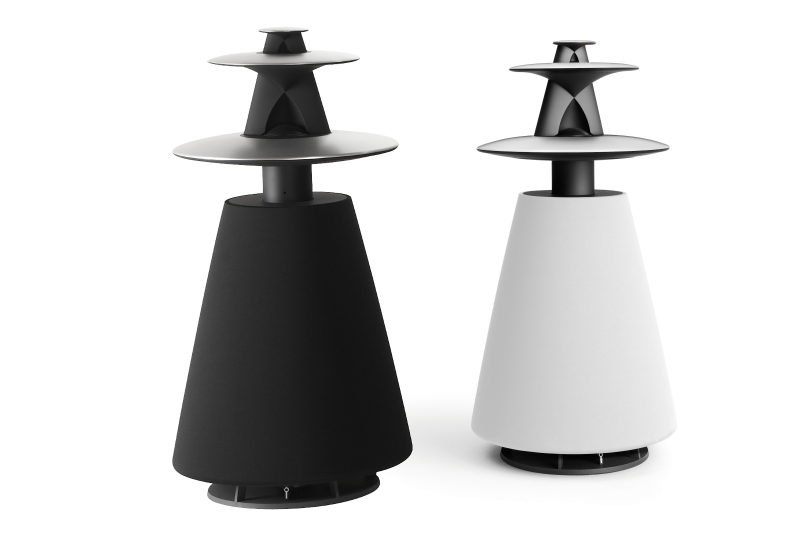 BeoLab 5 is also Bang & Olufsen's first digital loudspeaker. The signals in the inner of the loudspeaker are processed digitally, before they were amplified and transmitted by the loudspeaker units. The heart of this signal-processing is the so-called digital signal processor, which handles the individual frequency ranges, the volume control and the "Adaptive Bass Control". Additionally, the system provides an improved thermal protection, by continuously, depending on the music being played, measuring and calculating the temperatures. And finally, digital signal processing means that each speaker is calibrated already during production in an uniformity that was not possible so far. 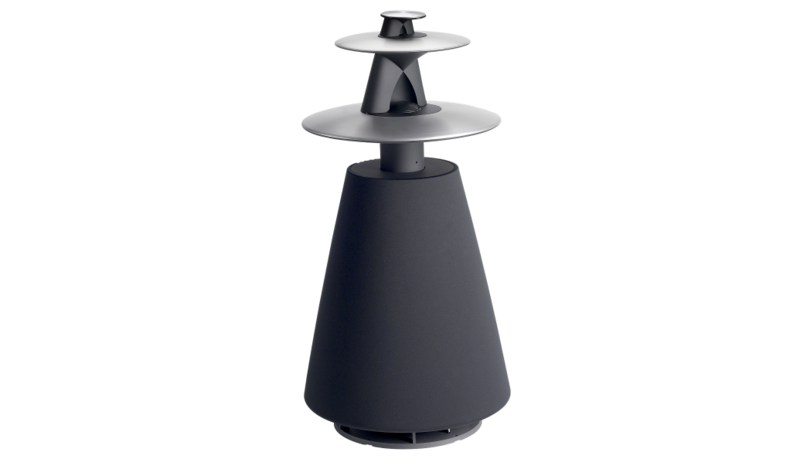 Like almost all Bang & Olufsen speakers BeoLab 5 is an active speaker with built-in amplifiers. The speaker is equipped with ICEpower ®. This amplifier technology, patented by B&O, improves efficiency considerably and allow an extreme output in a compact system with low power consumption. 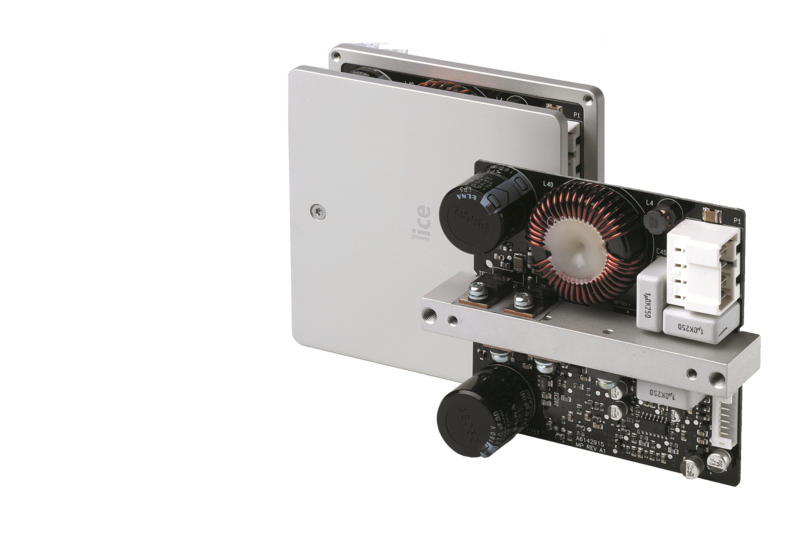 Without ICEpower ® designer David Lewis did not have had the freedom to design an acoustically so powerful speaker with such small physical dimensions. With its bold, cone-like shape and the elliptical lenses BeoLab 5 breaks completely with the definitions of traditional notions of a high-end device, and provides a welcome addition to any living environment. 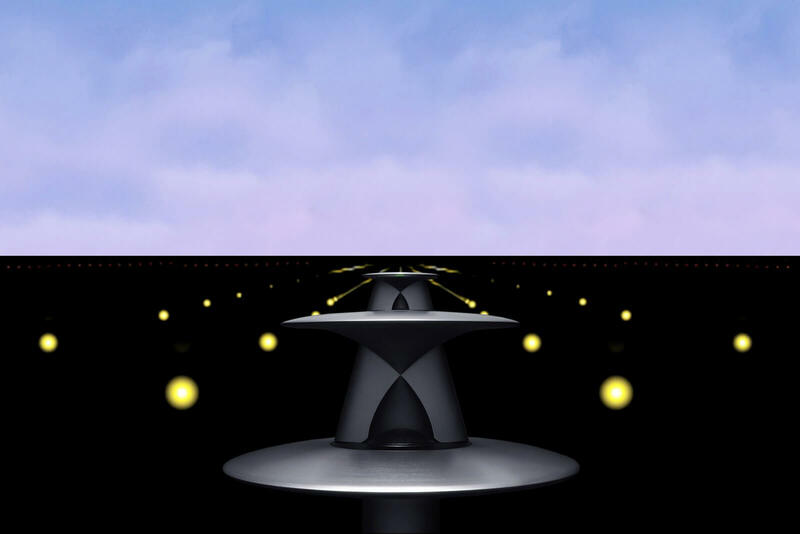 When Lewis placed the bass unit in the base of loudspeaker, directed against the ground, there arose the cone shape. The acoustic lenses in the upper half of the speaker appear to float strung like a chain and give the BeoLab 5 despite a weight of 61kg, a visual lightness. The system includes four specially developed active speaker units, each with its own amplifier. The high and mid-range units consist of elliptically shaped, acoustic lenses made ​​of brushed aluminum. The two bass drivers, one for the higher and one for the deep bass are integrated into a closed housing which is surrounded by a noble, aluminum jacket. In addition a heat dissipation, made of cast aluminum, is discretely attached to the back of the speaker. Experience the BeoLab 5 in your home. Product inquiry BeoLab 5 now!